Posted on April 20, 2017 by admin wrote in Employement, Job. For many job applicants the task of writing an effective cover letter is even more challenging than writing the resume itself. But the fact of the matter is that submitting a resume to an employer these days without a cover letter is an almost unforgivable sin. A cover letter should serve as an introduction to your prospective employer and it should succinctly demonstrate your interest in the particular position. Thus, as much as some people may struggle to compose one, a cover letter should never be an afterthought. 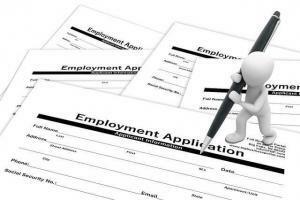 Here are a few cover letter writing tips that our NYC staffing agency recommends. Use proper formatting: Just as you did with your resume, be sure that you use clear, easy-to-read formatting. Don’t try to be cute or overly ornate in the use of fonts, etc. Don’t repeat your resume: A resume is a bullet point presentation of your skills and experience. A cover letter gives you a bit more freedom to convey who you are and why you are right for the particular position. Use this opportunity to expand on points raised in your resume and to express your individuality. Explain how you can help the company: Research the key requirements for the position and demonstrate clearly how you meet those requirements. Be concise: Keep your cover letter brief and to the point. Aim for making sure that it does not exceed one page in length. Hiring managers are busy people and chances are they will be reviewing many other resumes for the same position. They will appreciate the value you put on their time by you keeping your resume brief. Include vital information: Be sure to include the job title for which you are applying as well as where you saw the advertisement. Customize your cover letter: Although it may be time consuming to do so, it is important that you craft your cover letter to fit each position for which you are applying. Hiring agents will appreciate the time and effort you take in doing so and it will help ensure that you are a good fit for the position. Use a template: There are many templates online that will help you with your cover letter’s format. Use one as a starting point but don’t forget to customize in the above manner. Explain employment gaps: There are many legitimate reasons applicants can have for gaps in their work history including lay-offs, traveling, sickness, etc. Use your cover to explain gaps that may appear in your resume. In short, use your cover letter to sell yourself further to a prospective employer and to make your resume stand out from the pack. Our staffing agency in New York desires that all our employees find the job for which they are best suited. This benefits us, you and the major companies that use our services.